The Walls of Jericho is a challenging puzzle game built on move-and-match play, Walls of Jericho Game is just what you need. 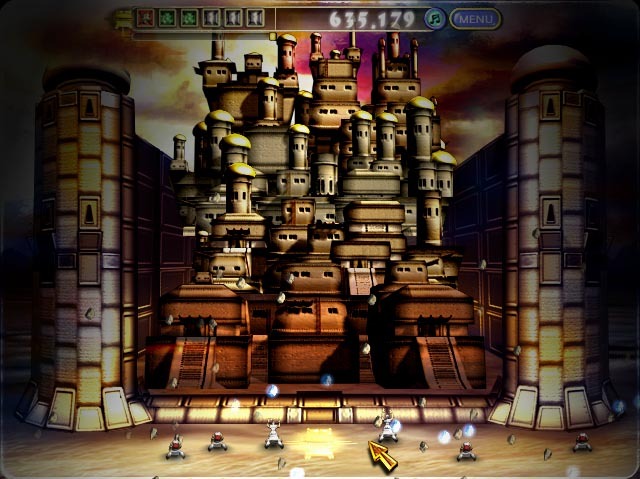 Walls of Jericho Game - is a challenging move-and-match puzzle game sure to twist the brain and please the eye. Inspired by the epic tale of faith and perseverance, Walls of Jericho game features awesome artwork and classic gameplay for the whole family. Just match up colored blocks to crumble them, align powerful special blocks to activate effects like lightning or rain of frogs, and use the Ark of the Covenant to bring down the walls, Walls of Jericho is just for you ! Your followers will become more and more difficult to keep around. Move quick and use strategy to reach the higher levels. There's more to life than flashy power block moves! Using simple chain combos can really add up. The key is to go for combos that can be made with ONE move. Look for these and other basic shapes throughout the game board to make quick-crumbles and combos happen. Though it can be tempting to drag power blocks all over the board, this technique wastes a lot of time and just doesn't work at higher levels. Try focusing on normal blocks and one-move oppurtunities. 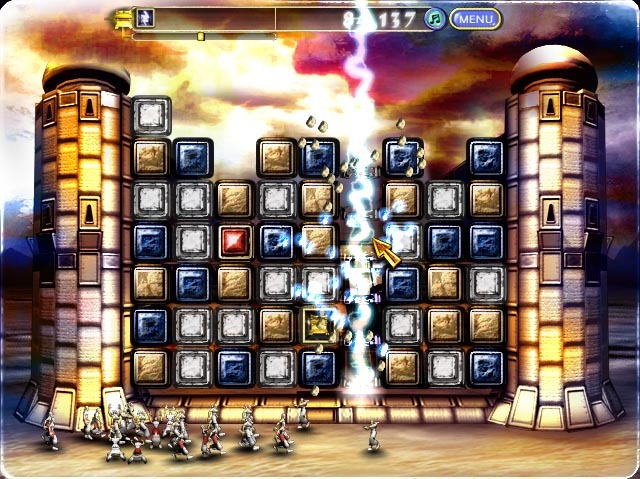 As more blocks are destroyed, the power blocks will gather near the bottom of the board, where they can be more quickly gathered and activated. When things are moving fast, you can lose the game just by looking around too much. Keep your moves focused in the immediate area around your pointer, and try to clear dense areas before moving off to other areas. Wandering the board wastes a lot of time as your brain and eyes re-map the block layout. More complete game instructions Pls Download The Walls of Jericho Game to have a try ! Dungeon Scroll Game - Fight your way through dungeons of evil creatures by arranging letters to create magic words.